Information is power and empowering the public is what public safety is all about. That’s why we created the Community Engagement Office designed to communicate, collaborate and work with our community to hear their concerns, answer questions and provide relevant and timely crime prevention information. The Community Engagement Office monitors emerging trends and works creatively with community partners, citizens and the media to mobilize efforts and resources to better protect our community. 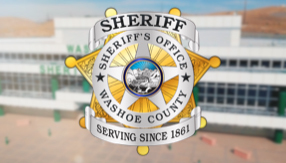 The Community Engagement Office also broadens the scope of our outreach efforts on crime prevention by exploring new ways to protect and enhance the lives of all Washoe County residents. Making a difference in our community starts with the community. We are sharing the responsibility of making Washoe County safer by partnering with our fellow public safety agencies, and other community stakeholders, linking prevention and enforcement efforts more closely together. We encourage you to follow us on Facebook, Twitter, and Instagram for practical and valuable information that can help keep you and your family safe and for you to make informed decisions. It’s also an opportunity to know more about your Sheriff’s Office: our programs, services and the partnerships we maintain within our community. Completion of this form is a request only and does not guarantee the Sheriff’s Office will be able to fulfil the request. All requests must be submitted in writing on this form. Requests must be received at least 4 weeks prior to the event. Please Note: Staff & Resources may be cancelled at the last minute due to emergency call-outs, staffing levels and/or inclement weather. The Sheriff’s Office personnel/apparatus must be positioned for immediate egress from any event in case of an emergency. Click HERE for the WCSO Event Request form.